Jordan of the Islands Sapphire Star grows light green with plenty of purple colors. We have bred our Blue Hawaiian Sativa with our award winning indica God Bud to create a marijuana strain that yields between 4 - 6 ounces with a height of between 5 - 7 feet. The buds are small, compact, and release a skunky/berry aroma. The marijuana high is awake and comes on strong and fast. We think you will be very happy with Sapphire Star in grow space and it was featured in Big Book of Buds. From the Big Book Of Buds Vol. 2: "Sapphire Star is a berry-flavoured, haze influenced cross from a popular Hawaiian sativa strain and the powerful indica God Bud. Like a pure sativa, Sapphire Star bushes out in all directions, reaching a looming 5-6 feet indoors and up to 15 feet outdoors. Her stone also displays classic sativa traits - a blissful flight of ideas takes off fast from a few tokes. 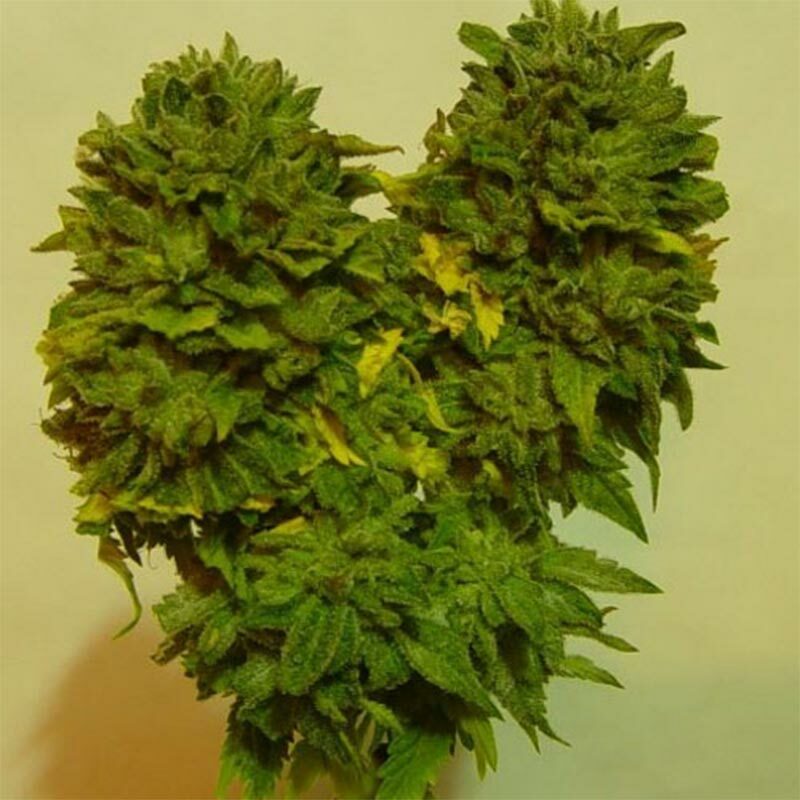 But the God Bud indica influence shortens Sapphire Star's flowering time considerably from the sativa norm, as well as sweetening the musky taste. Indoors, Sapphire Star needs regular feeding to get the best growth from either soil of hydro crops. Sea of green planting may be possible for an experienced gardener who can prune and cull the bushy plants. Sapphire's foliage often looks speckled with dew as she flowers - this is actually quite watery resin, which makes it easy to collect as finger hash. Sapphire Star's buds are small but dense and well-shaped. Outdoors, her fast finish and awesome size in Canada offers good prospects for outdoor growth in other cold climates. Imagine a patch of blueberries dripping sap over blooming thistles and musky Bermuda grass - that berry-and-weed combination is Sapphire Star's bouquet from the grow room to the pipe to the exhale. Her uplifting high makes for happy, fluent conversation. Light housework or heavy petting are also recommended with this energetic smoke." Royal Cheese is one of our best selling strains, loved by many for its unique, strong aroma and tast..
Sweet Tooth cannabis seeds took the world by storm in the early 2000’s, she won the Cannabis Cup thr.. There are many times when weed seeds just don't live up to their name, but with the Black Destroyer ..